Download the schedule as a PDF here. Meet the instructors for the 2019 Restorative Arts and Yoga Festival May 31-June 2 here. Yoga started as a way to feel grounded and calm when life felt hectic or when Ashley was dissatisfied with her day to day routine. Even when she didn’t understand the therapeutic applications and profound history of Yoga, she still felt the affects in her mind and body as well as the influence it had in her life. In 2009 Ashley found herself falling in love with Yoga. She traveled to Goa, India, to deepen her spiritual study and receive her 200-hour Teacher Training Certificate. She learned a lot about her Self there, and began teaching shortly after. Ashley moved to Truckee, CA, in 2013. 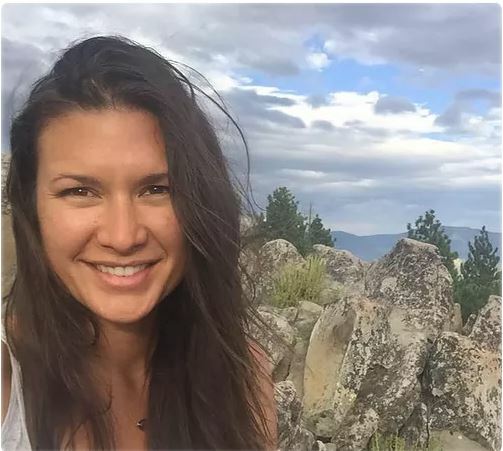 A nature-adventure guide and private Yoga instructor, she spends her work and play time deep within the wild forests of Lake Tahoe and California. She know that her dharma, or life’s duty, is to share Yoga and the natural world with people to help create a deepened awareness of our interconnection with Mother Earth and personal well-being. Ashley first discovered yoga at a young age along the shoreline of San Diego, where she grew up. In 2009 she embarked on a new adventure to Lake Tahoe where she fell in love with the exhilarating outdoor lifestyle and well-rounded down to earth community. 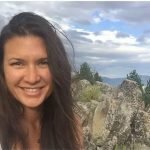 Ashley’s involvement with yoga became more focused while studying with teachers in the Tahoe area, who nurtured her abilities to become more comfortable and confident in her personal life. Through this guidance she realized that yoga would enhance her mental, physical, and emotional awareness and emphasis the importance of this practice. She strives to enrich each asana with an inspiring lesson to be taken off the mat. She completed RYT 200 hour teaching certification in 2015 and has been expanding her teaching style ever since. Enjoy an integrated fusion of many yoga styles and techniques including Bhakti, Vinyasa, Kundalini, Pilates, yoga basics, fundamental anatomy, breath work, Sanskrit chanting and more! Anastasia Bobadilla is a traditional Thai massage practitioner, a licensed massage therapist and a certified AcroYoga Instructor. She has been practicing and teaching massage for 17 years. In her classes, she teaches the art of trust, connection, and playfulness. She strives to inspire and empower her students to be healthy, strong and confident in their bodies. In addition to her local massage practice, Anastasia co-leads international Wellness retreats where she teaches Thai massage and many other forms of healing modalities. Iyengar yoga has taught me to look beyond the outer physical layers and explore the inner layers of mind energy and spirit. It develops strength,stamina,concentration coordination, flexibility, and more. Using physical alignment as a starting point, Iyengar yoga encourages the spread of intelligence throughout the body, the growth of self awareness, and an experience of the asanas as a form of meditation in action! Please come and join me at the Ray Restorative Arts & Yoga Festival at Granlibakken Tahoe. 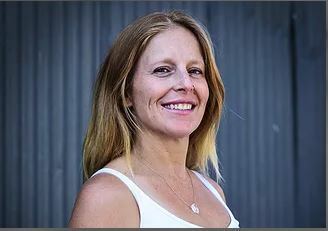 Emily has more than twenty years of experience in the healing arts, and is a full-time bodyworker, yoga and meditation teacher, and musician based out of Truckee, California. 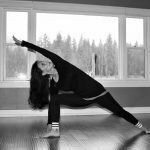 Through many years as a professional athlete, yoga and healing work have been a true blessing to Emily, and she has found that they complement the more demanding aspects of life. It is Emily’s truth to give back and share that healing energy with people of all ages. Her powerful nurturing and caring comes through her music & teachings, which she generously offers from her wild and free heart. Emily’s broad scope and experience are evident in her classes, which embrace the wild and primal sides of our nature, bringing subconscious musings, worries, and joys to the surface as one enjoys the healing properties that meditation guided by soothing tones and music can bring. 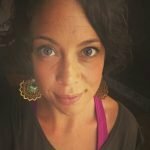 Emily believes that the essence of sound healing is coming back to nature, and she uses her vibrational therapy to allow her students to overcome the distractions of the modern world, and to find a space within themselves where they can be calm and address their challenges head-on. 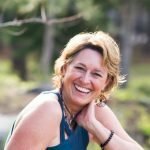 With over 20 years’ experience as an international holistic health practitioner, April has crafted a skill-set that integrates ancient wisdom with contemporary technology. She started on the path to personal health and wholeness when an injury diverted her journey away from a high-stress career in the San Francisco fashion industry to follow the path of self-inquiry. April began her training in skin care and massage therapy, becoming a certified and licensed therapist and aesthetician with over 1000 hours of training. 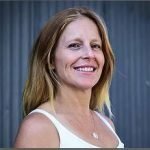 April was the owner/operator of StillPoint Massage and Skin Care in Mammoth Lakes, CA for 10 years. During this time, a deep appreciation for nature inspired her to study plants, leading her to complete 400 hours of training to become a certified Aromatherapist. As a healer, she continues to be a dedicated student, receiving additional training in Infant and Prenatal Massage Therapy, Reflexology, and becoming a Reiki Master. Most recently, April has become a certified Live Blood Morphologist, acquiring the instruments and learning the technical skills to analyze the body at a cellular level. With her wealth of specialized knowledge and hands-on experience, she is devoted to awakening the innate brilliance of the human body and endeavor to work with each individual at each level of their being to harmonize their physical, mental, and spiritual for optimum health! Born and raised in California, April now spends most of her time in Tahoe but still considers Australia home. She provides holistic health and beauty services and host educational workshops and classes while enjoying the outdoor adventure lifestyle. Kate Leist’s yoga journey is about discovering one’s truth and living a healthy and fulfilled life. “The practice of yoga allows us to look deeply within and break down the barriers we build up for ourselves, leading us to understand our true essence while giving us the strength and confidence to achieve our dreams,” says Kate. She is passionate about the physical, emotional, energetic, and spiritual benefits of yoga and generously shares this knowledge with her students. Kate’s teaching style is gentle, well-paced and fun with subtle, challenging variations, keeping all students engaged with an emphasis on proper alignment. While certified as an Ashtanga Vinyasa Flow teacher, her classes seamlessly blend influences from Kundalini yoga, powerful and transformational breath work and guided meditations. Since Kate received her 200-hr Yoga Alliance Certification in the Himalayas of Northern India, she has been avidly teaching classes in Lake Tahoe, leading workshops, and continuing her own education through travel, practice, self-study, and attending workshops and trainings. Kate grew up in beautiful Northern Michigan and currently resides in Truckee, CA located in North Lake Tahoe. She enjoys anything that involves water (in or near water), traveling to new places that expand her mind and question her perceptions, being immersed in mother nature, cooking & eating delicious food, spending time with loved ones, taking her beagle Penny Lane on adventures, talking in accents, live music, and dancing (to name a few). Deanna Found Yoga whole-heartedly in 2009. During this time, she traveled to India and began practicing various forms of Yoga: Hatha, Ashtanga, Kundalini accompanied by an array of meditation techniques. When she returned to the states she began her studies in Anusara Yoga with Ashleigh Sergeant and Siri Peterson. Deanna has been teaching since and continues to refine her expression of what yoga truly is to her. Her style of teaching incorporates alignment-based Asana, (postures), along with Pranayam, (breath) and meditation. For Deanna, Yoga is about calming the mind, freeing the body of pain, raising our energetic vibrations and opening and bringing light into the heartspace. 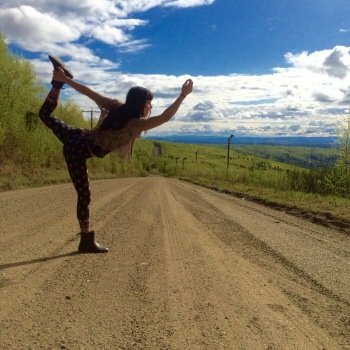 Meghan Ruiz is known for her creative, challenging intelligently sequenced classes that honor the importance of the fundamental asanas and alignment along with the meditative qualities of vinyasa flow. She loves using the fundamentals to create a foundation for understanding of the asanas that empower students to safely explore more advanced postures such as inversions and arm balances. 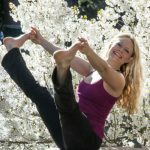 Meghan is a 300 E-RYT who has been teaching yoga classes and workshops in the Truckee/Tahoe/Reno community since 2009. 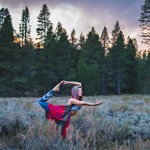 She recently started The Truckee Yoga Collective in Truckee, CA. 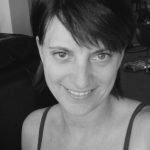 Polly brings over 20 years of experience in Somatic Healing work and Earth Based spirituality into her dance and movement facilitation. With a background as a Feldenkrais movement practitioner and NIA whitebelt instructor, Polly developed her style of Soulwise Movement Meditation from her love of exploring Human Nature and her passion for movement and dance. She is inspired by the movement ministry of SoulMotion and the wisdom of 5Rhythms. 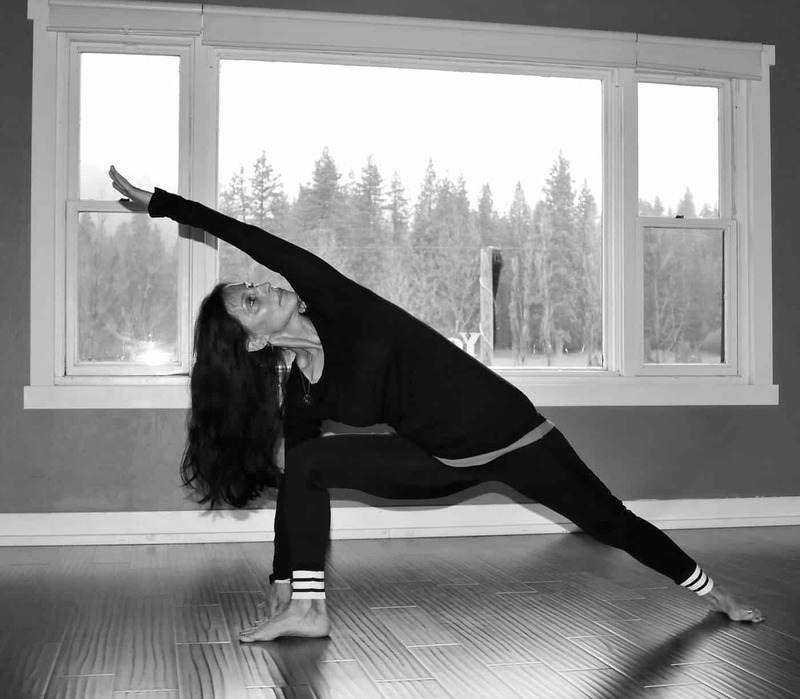 She has begun training as an Open Floor teacher and continues to deepen her movement practice . Her mix of music and inspiration will connect you with the wisdom of your soul. 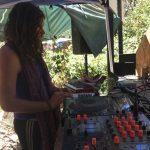 Purplecloudzz : aka KataBliss is a multi genre DJ / Producer an Sonic Artist. Blending together many genres, his borderless style weaves together a world tapestry of sonic frequencies. See the full schedule of events for RAY 2019 here.